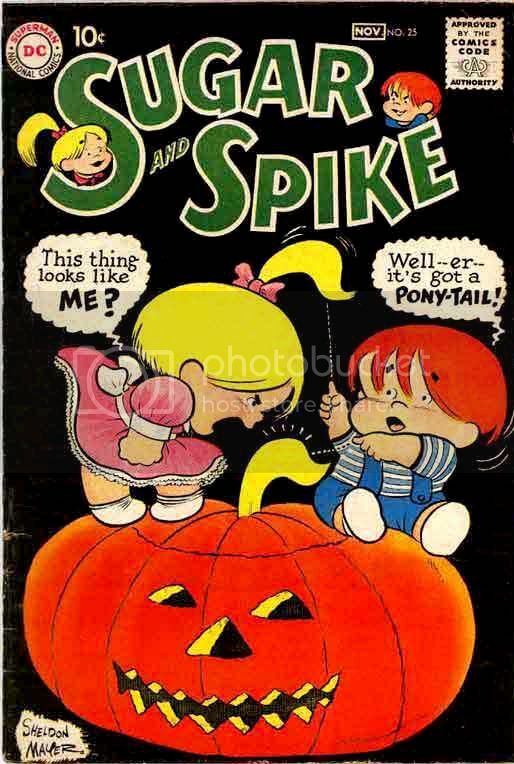 When Comic Books Ruled the Earth: October is Still Spookey Month: Sugar and Spike's Halloween-themed covers! 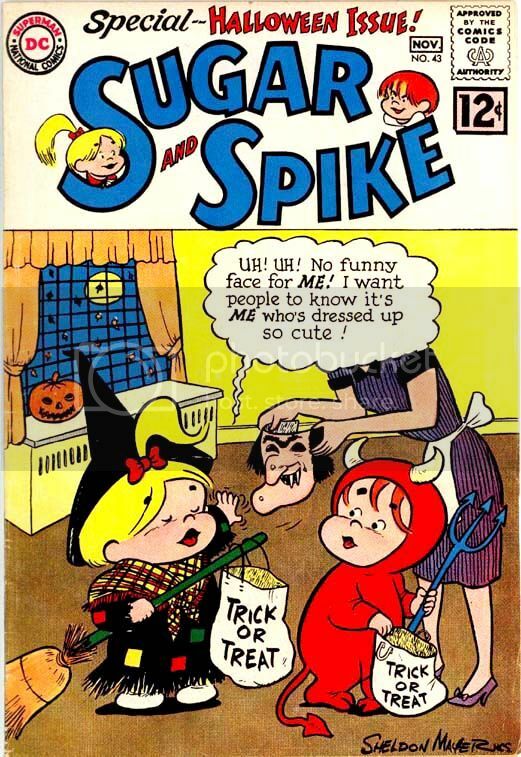 October is Still Spookey Month: Sugar and Spike's Halloween-themed covers! These are pure joy. 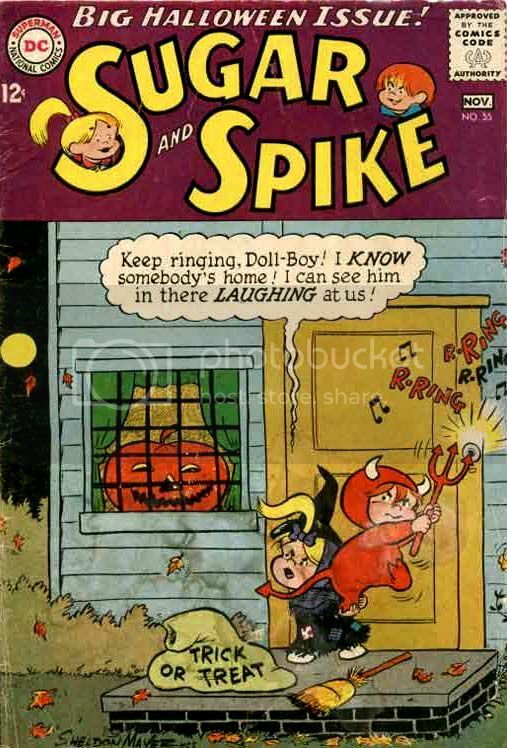 I really don't have anything to say about any particular cover in this collection, so we'll let Sheldon Mayer's work speak for itself and fill you with the spooky, fun Halloween spirit. There! 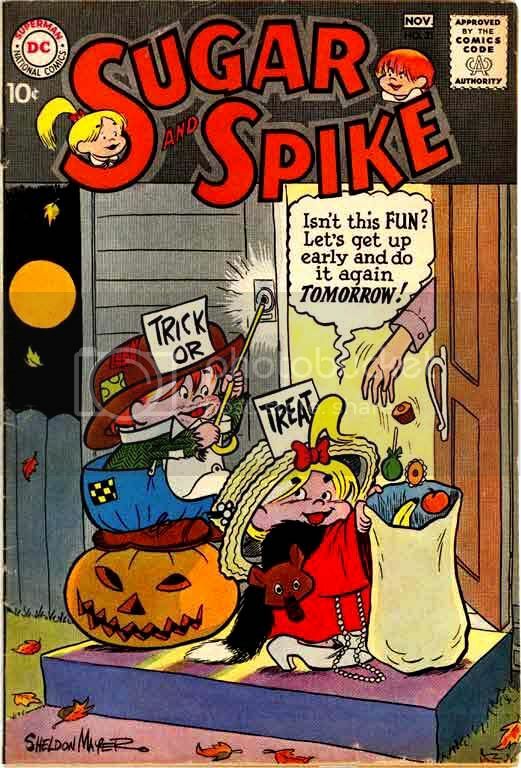 I'm ready to go trick or treating and it's only October 27th. 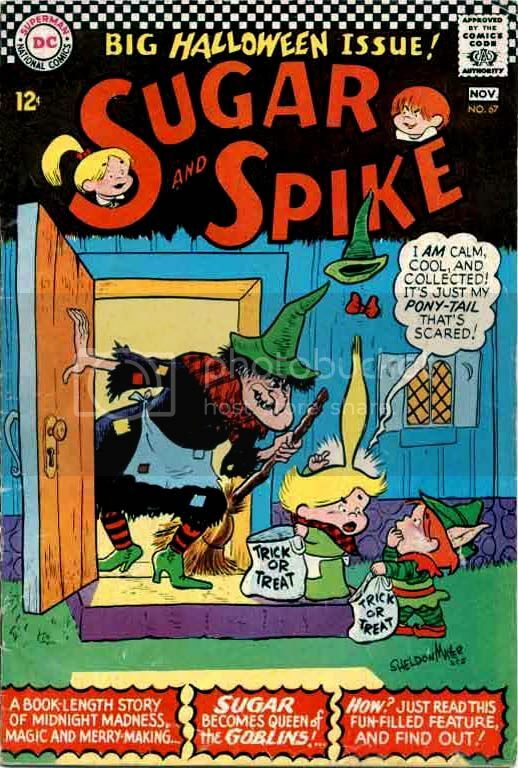 I've only read one or two Sugar and Spike stories, but the Comic Book Artist #11 (January 2001) flip side devoted to Mayer and his kids made me a believer. 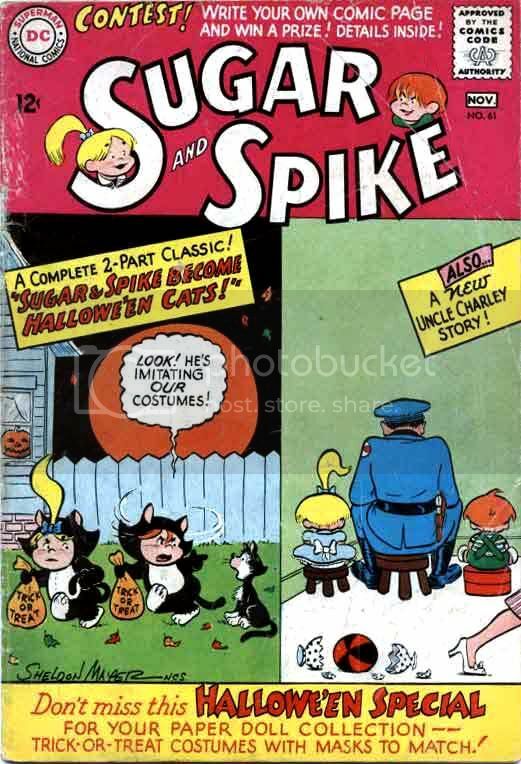 I wish DC and Comixology would make this entire series available so I could put up some better scans instead of ones I had to scour the web to find and then clean up a little for you. 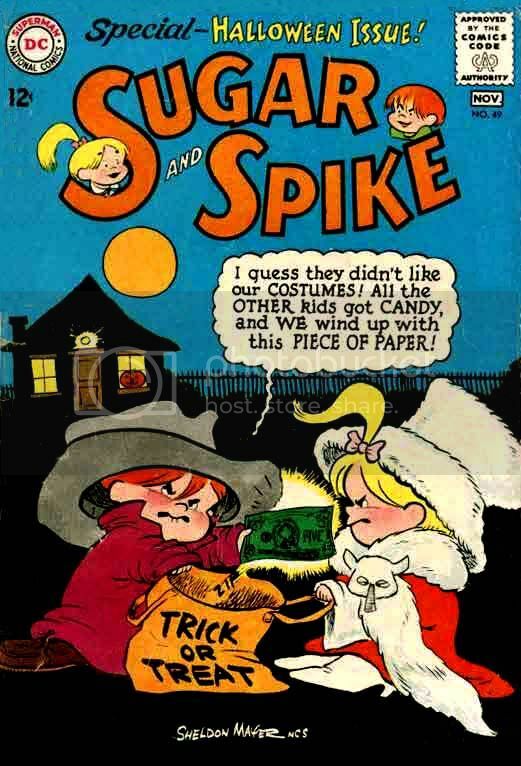 I did as good a job as time (little) and money (zero) would allow and it's our good fortune Sugar and Spike fans put them out there for all of us to enjoy. 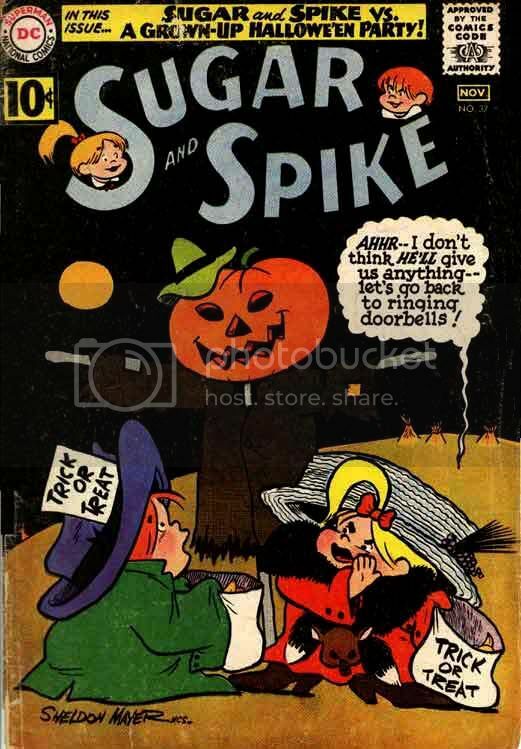 And now you also enjoy my favorite Spookey video!